This week we take a moment to remember and honor the late Rev. Dr. Martin Luther King, Jr. and his message of peace, justice and reconciliation. While MLK has passed, his incredible work and undying mission lives on today as multitudes have stepped forward to take up his torch and fulfill his vision. 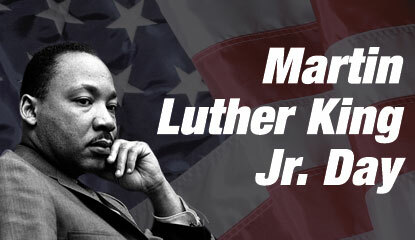 In his honor, let us all seek to live each day seeking peace with our neighbors and advocating for the fair treatment of all. 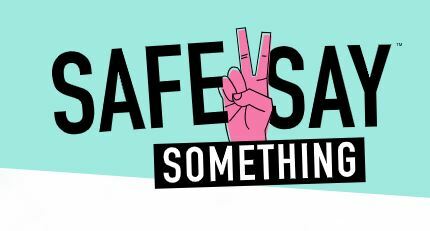 The Safe2SayPA school violence prevention program authorized by the General Assembly last summer is up and running. It helps youth and adults recognize signals from individuals who may be a threat to themselves or others and anonymously report the threat to a crisis center, which reviews all submissions. Under the new Keystone Scholars Program, $100 will be deposited in an education savings account for any PA baby born or adopted in 2019. It was created by the General Assembly last year to boost college savings and is funded by private donors. If a family puts in just $25 per month starting when their child is born, by age 18 that would grow to approximately $10,000, based on PA Treasury investment assumptions. Parents can sign up here. 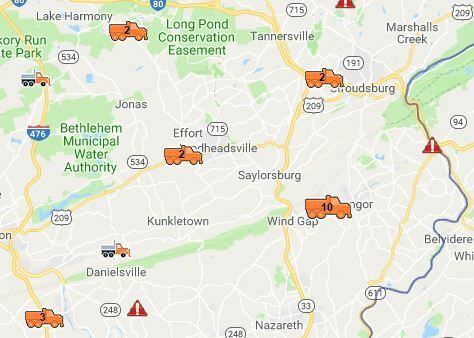 After several years ramping up, online tracking of all PennDOT snow plows is possible this winter on 511PA.com to plan your travel on interstates and expressways. PennDOT winter operations use more than 2,248 trucks, plows, and salt spreaders across nearly 95,000 snow-lane miles. To use, click the “Plow Trucks” box above the state map at 511PA.com. Applications are being accepted for Merit Shop Construction Scholarships from the Keystone Chapter of Associated Builders to assist individuals seeking to further their education in careers in construction. 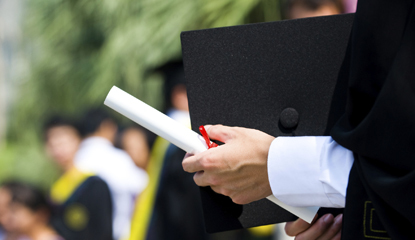 An average of eight scholarships of up to $4,000 each is awarded yearly. To be eligible, applicants must enroll in a trade school, college or university program that is directly related to a construction career, including skilled trades, engineering, or construction management. Deadline to apply is Feb. 22. 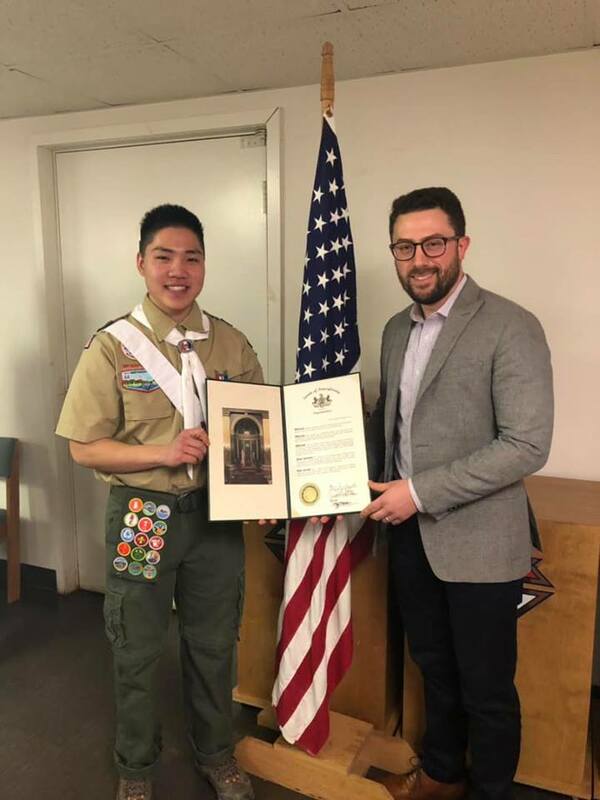 We had the pleasure recently of recognizing Richard Kim of Troop 89 in Cresco for earning the rank of Eagle Scout. For his project, Richard renovated the concession stand at Barrett Township Park. Currently studying pre-med in his freshman year, he continues to lead and further himself in ways fitting of an Eagle Scout. Congratulations to you and your wonderful family on this great accomplishment, Richard!